Elemental ~ Jewelry With Substance: The Sacred Eye Is...Aquamarine?? Don't you love a new outfit?! I'm wearing the latest release from ELEMENTAL JEWELRY--the Sacred Eye Tiered Pendant with Aquamarine and Glass Beads. 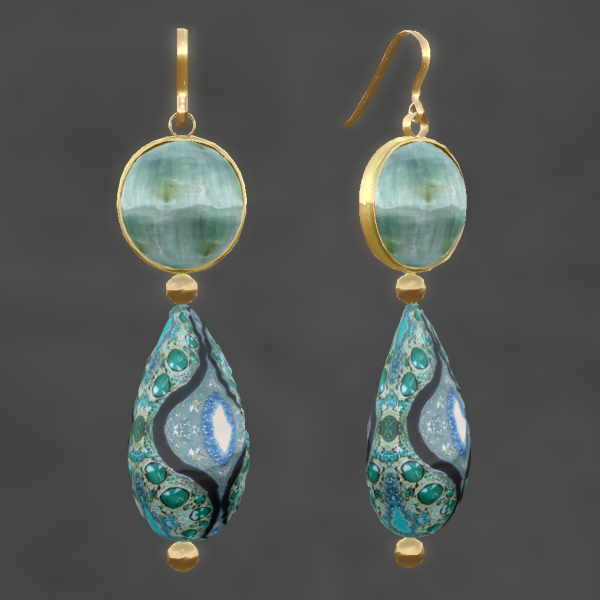 The pendant and earrings are both on sale this week in the L$60 Weekend Sale--Only L$60 each! Very pretty colors! Shape: Curio Lovely Shape 2. Makeup: Label Mode La Vie Makeup Turquoise. Hair: Waka & Yuki New Hair 28 Type A--in the sale room. Dress: Purple Moon Midnight in Blue. Beautiful! Purple Moon is one of my new favorite places to shop!